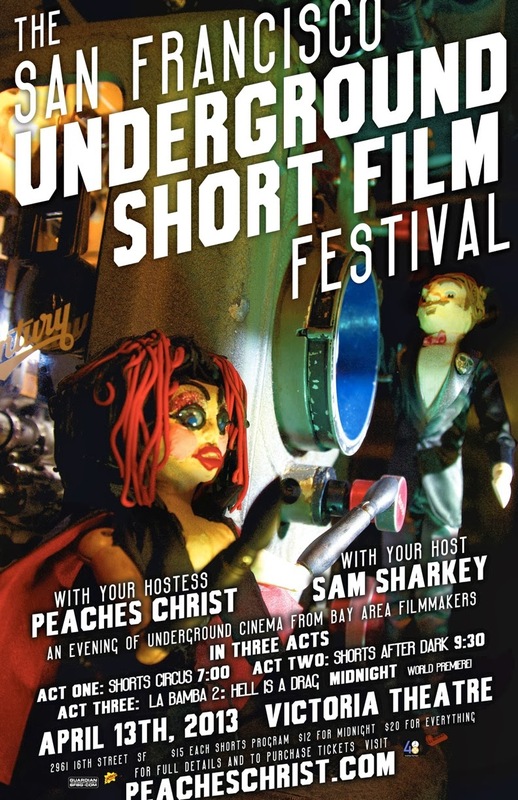 Our latest production Cannibal Stewardess 2 screened at the San Francisco Underground Short Film Festival last night. None of the fish could be in attendance, but our good friends Cosgrove and Jeff attended and said the film got a loving reaction from the crowd of freaks. It was hosted by San Francisco Drag Performer Peaches Christ. Below is Daniel's official trailer for the Festival.